Whether you’re an expert party planner or you want to become one, we have a great idea for your next gathering —a wine tasting party! Wine tasting parties are great for groups and can even be a fun activity for a Valentine’s date. This may sound a little complicated, but we have a few great ideas to get you started. When deciding on which wines to choose, it’s best to focus on three to six wines so you don’t get too overwhelmed. To narrow it down, try centering choices on a theme. The theme could be wines of the same varietal (e.g. all pinot grigio or zinfandel), the same winery , wines from the same region (such as Spain or Argentina), or those from the same year. To get your friends involved in the fun, have each person bring a bottle of wine to share. If you prefer to supply all the wines for the evening, the Publix wine discount program can help. Don’t worry if you and your friends are wine novices, our flavor descriptions can give you an idea of the type of wines you might like to drink. When setting up for the party, it will help to have a sink to rinse out the wine glasses after each taste, and notepads and pens to write down which ones you liked best. Choosing the food can be just as exciting as choosing the wine. If you don’t plan on having a big meal, that’s OK! You can offer a variety of appetizers too. For small bites, plan three to four servings per person. Here are some fun ideas for wine tasting foods. Parmigiano-Reggiano is nutty, salty, and most of all, —satisfying. Figs are subtly sweet and go great with this cheese. Separately or together, they work well with wine. 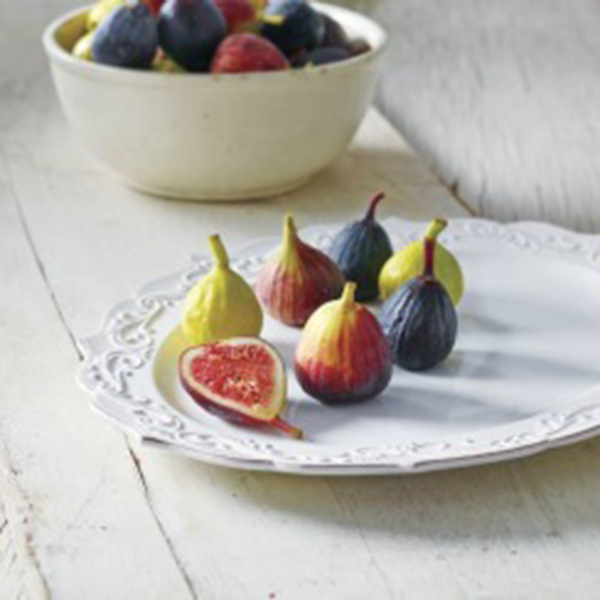 Figs pair well with whites like sauvignon blanc which often has its own figgy flavor. Parmigiano pairs well with almost any wine. You simply cannot go wrong with these two. Stop at your local Publix and pick up some party-ready peeled and cooked shrimp from the seafood counter. Arrange on a platter around cocktail sauce and dress up the platter with lemon slices and herbs. To save time, you can order and pick up a ready-made seafood platter from your local Publix. For a more flavorful option, try marinating the shrimp for several hours in a balsamic vinaigrette. Drain, then sprinkle with feta cheese and serve on picks. Your guests will love it! Pairing: Riesling or a sweet red blend. 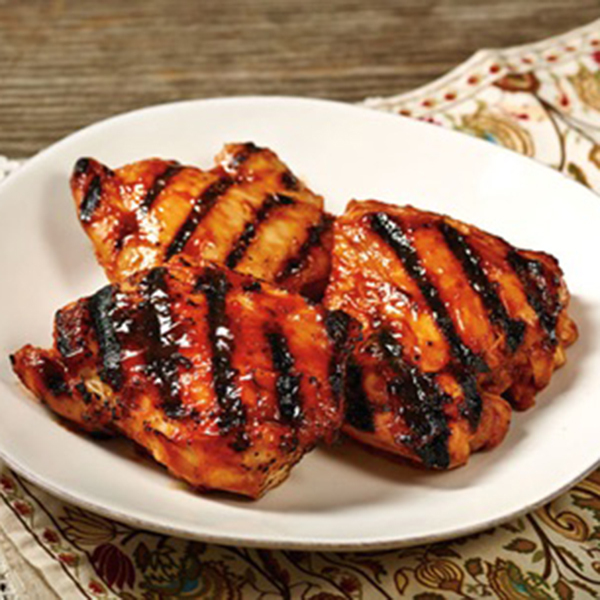 Opposites definitely attract in this classic Asian-inspired chicken recipe. The cooking process combines tomato, soy, and garlic, making it a good match for the pickiest of eaters. Take a trip around the world without leaving your home. The traditional Mediterranean flavors of this dish will whisk your senses off to the coast of Greece. The orange zest, feta, and olives are a perfect match for a crisp white wine, such as chenin blanc or an unoaked chardonnay. We hope that we’ve given you a great head start for your next event. Get even more inspiration by signing up for the Publix Wine program. You’ll get information on special sales, new wines to try, wine education, pairing ideas, recipes, entertaining tips, and more! Be sure to come back and tell us how the party went. If you love to read about ways to use your favorite products and foods in surprising ways, Aijana W. is going to be the blogger to watch. A member of the Publix family since 2014, Aijana loves to explore the diverse corners of social media and hopes you leave our blog with great ideas as well as a better sense of who Publix is as a company. In her spare time, she enjoys reading, dancing, trying new restaurants, and of course – eating Publix GreenWise Salted Caramel Ice Cream!